Philippe Coutinho has failed to live up to the mighty expectations since making his big-money move from Liverpool to Barcelona. The Brazilian international is yet to establish himself as a first-choice forward in Ernesto Valverde’s lineup. However, even his recent performances indicate that he is a long way off from realistically achieving that target. Multiple sources have already begun linking the 26-year-old with a summer departure from the Camp Nou, with Manchester United labeled as one of his potential destinations. In fact, Coutinho visited Old Trafford just last week, as his side faced off against the Red Devils in the first leg of their Champions League quarter-final clash. 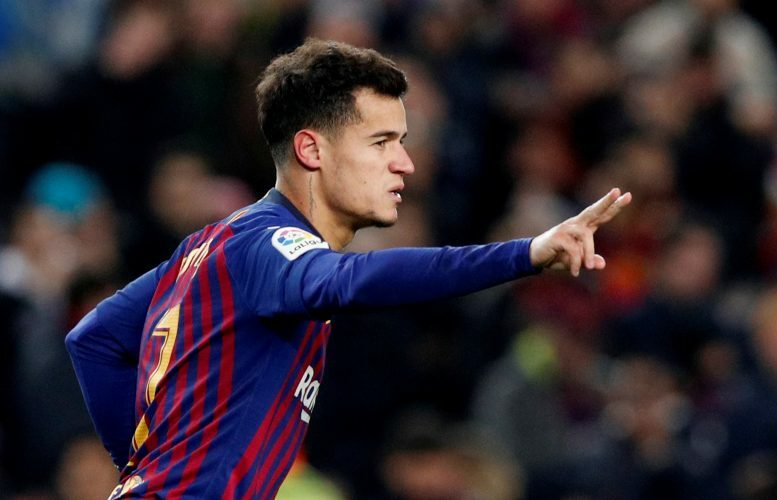 Now, Spanish news outlet Sport has revealed that Coutinho may have been put off from any prospective switch to Manchester United in the future, due to what happened during last Wednesday’s match-up. The former Liverpool playmaker received a horrendous reception at the Theatre of Dreams, as he was heavily booed by the home crowd due to his history with United’s arch-rivals from Merseyside. The report indicates that this very treatment from the Old Trafford faithful has dissuaded Coutinho from joining the Mancunian outfit. The player also does not wish to upset the Liverpool supporters by joining their nemeses, and therefore, he shall look at other potential clubs if he chooses to head out the Barcelona exit door at the end of the season.